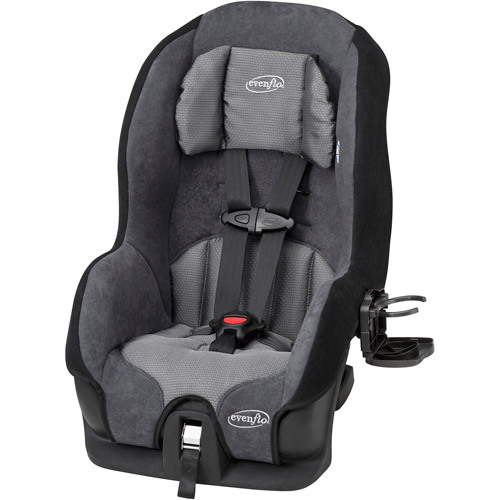 This is the summary of consumer reviews for Safety 1st OnSide Air Protect Convertible Car Seat. The BoolPool rating for this product is Very Good, with 4.40 stars, and the price range is $59.88 - $79.99. 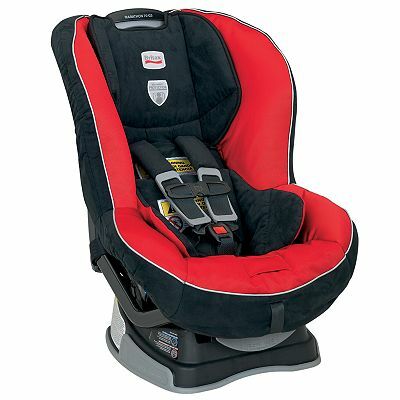 The Safety 1st Onside Air Convertible Car Seat is a comfortable seat designed for baby’s safe travel. 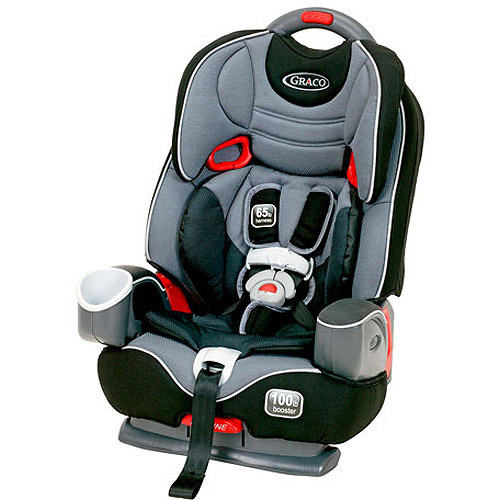 It comes with 4 point adjustable harness height and 3 buckle locations to help your baby fit comfortably. This seat is designed to carry a rear facing baby from 5-40 lbs and forward facing baby 22-40 lbs. 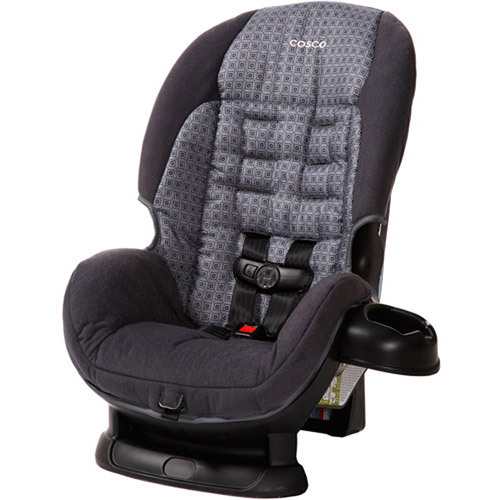 The Safety 1st car seat has Air Protect Technology specially designed for added protection around the head. The advanced side impact protection shields the head and immediately reduces any side impact forces through precise release of air. 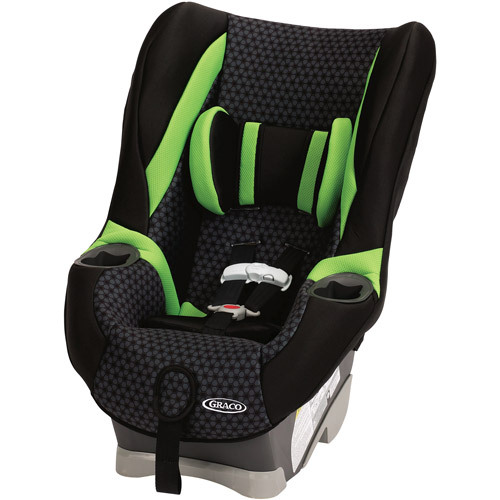 The Safety 1st Onside Air Convertible has an easy belt or latch installation process. This seat is light in weight thus making it easy to carry or switch between vehicles. The sides of the seat are cushy enough for the baby’s comfort while asleep. The clip-on cup holder is an added comfort as it can be removed to create more space when needed. The seat is not overly cushioned so it makes it ideal for hot weather usage. 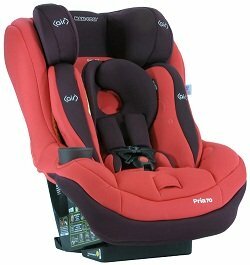 The height of the seat is moderate which makes the baby enjoy the scenic beauty while travelling. Some parents found difficulty in installing rear facing seat. Also, the passenger seat had to be moved in front while installing the forward facing seat. 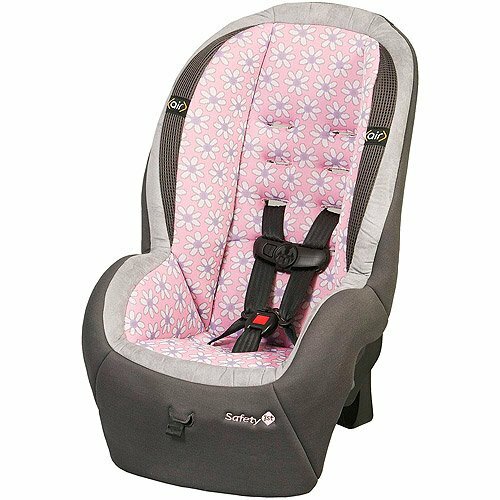 Overall, the Safety 1st Onside Air Convertible Car Seat is a highly recommended for its price, sturdy and fashionable looks. easy to install forward facing. Its easy to install, rear or forward facing, either with the seat belt or latch system. It does rear and front facing easily. I've two and have installed one forward facing (for a 2.5 year old) and one rear facing (for a 13 month old). The seat is well constructed and can be used forward or rear facing. He never had complained that anything hurts, it's very easy to install and uninstall exapecally when forward facing. We switched him to forward facing at around 22 months. The seat, like most forward facing seats, requires you to push up the front seat forward quite a bit, a little bit snug for that passenger. I couldn't figure out how to make the seat tight rear facing so I left my child facing front because she meets the Height/ Weight criteria and is 13 months. Forward facing was just fine though. Easy to install, light weight, looks safe, and so cute!!. 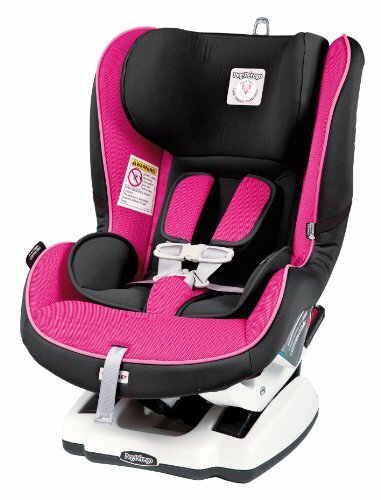 This seat is well made, easy to install, and comfortable for my daughter. This car seat is very easy to install and my baby seems very comfortable. It was easy to install and doesn't look too bad. It's an easy seat to install and move. Very pretty fabric and very easy to install in your car. Installation wasn't any harder than any other seat I've installed. I didn't have any problems installing it. installed in under a minute. This seat is sturdy, has enough cushion for comfort and could easily be installed in either of our cars. Very easy to install and a perfect fit for my son , easy to adjust , highly recommended for front facing toddler . Easy to use and install in the car. It was easy to assemble and install. Easy to install, no noodle or rolled up towel required for us. super light weight, easy to install, smaller buckles than other similar seats. Sturdy, easy to setup in our Altima and easy to secure baby. Comfortable chair, easy to strap baby in. Easy to install chair into chair. - Easy to install rear-facing using latch or seatbelt (I tested both). It's pretty easy to install, and lightweight so if you're switching vehicles it's easy to do. It isn't overly padded or comfortable. Fits nicely in the middle backseat of our relatively small car, seems really comfortable for her too! My little girl seems to be comfortable in it. Comfortable for her to fall asleep in and not over priced. My 16 month old is very comfortable in this seat. This was cheaper than the other brand we'd but our child seemed so much more comfortable in this one!. Its comfortable enough for a baby in diapers. She sits up high enough to see out the window and it's comfortable for her traveling. It lasted and she still finds it comfortable. I like that the sides of the carseat are cushy so when she falls asleep it'll be comfortable. No problems with this product...comfortable for a child and a decent price. But it fit well and now hes big enough to face forward and its working even better. I'm, however, 6' 3" and require a bit of extra leg room. 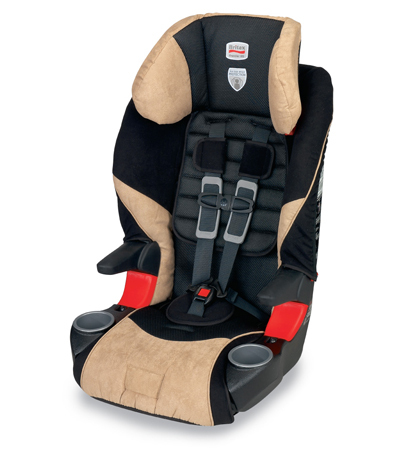 Excellent for hot weather, most car seats come with extra cushion which also means extra hot for child. And a lot better then other seats in this price range. The cup holder works great for our toddler when she decides to use it. I feel our child is also a bit safer in the middle of the car. With my other child's booster seat next to it. They're very sturdy, easy to install, look girly without looking tacky. I've only used this seat forward facing, but it fits nicely in my backseat.